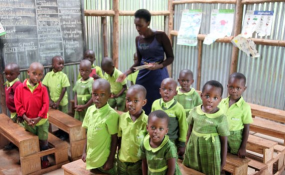 TANZANIA has agreed to send Kiswahili teachers to South Sudan to help the world's newest nation master the African Great Lakes region's lingua franca. The East African nation is waiting for a word from Juba to establish, when to send the teachers to the country. Last week, Minister for Education, Science and Technology, Prof Joyce Ndalichako, signed a Memorandum of Understanding (MoU) with her South Sudanese counterpart Deng Deng Hoc Yai in Dodoma. It is a five-year deal that will see Tanzanian teachers fly to Juba to teach Kiswahili. "We are more than ready to help our East African neighbours in their quest for mastering the language. As we speak, we are expecting our teachers to go to South Sudan," she revealed. According to Prof Ndalichako, Tanzania will also send to South Sudan textbooks published in Kiswahili. The minister also committed to supporting South Sudan in vocational training. South Sudan has reportedly launched a new curriculum that accommodates Kiswahili as one of the subjects to be taught in class from primary education level. The South Sudanese minister commended Tanzania for cherishing Kiswahili language, adding that it could still compete with other international languages such as Arabic and English. "Since South Sudan is part of East Africa, there is a need to teach Kiswahili in the country for easy communication with other member states," said the minister. Kiswahili has been adopted as the official language for the East African Community (EAC), of which South Sudan is its latest member after it ratified and accessed the EAC Treaty last year after joining EAC in April 2016. The country is using Juba Arabic as its national language. Other languages include English, Bari, Dinka, Luo, Murle, Nuer, Zande and various others. It still remains to be seen if the introduction of Kiswahili in the country's curriculum will make it abandon its national language in the future. Kiswahili is widely spoken among the five EAC partner states - Tanzania, Kenya, Uganda, Rwanda and Burundi. This is not the first time Tanzania expresses its willingness to support other African countries to master the language. Last year, the government said it was ready to support the government of South Africa's move to teach Kiswahili in its schools. The Deputy Minister for Education, Science and Technology William Ole-Nasha said Tanzania was ready to send Kiswahili teachers to South Africa.